Building a web agency that does UX design and web development projects on a white label basis. This is the focus area for Paul Lacey and his partner in their agency setup. 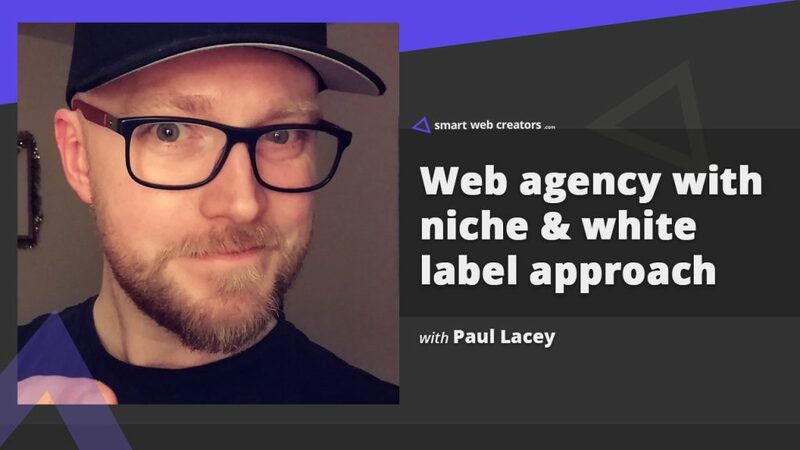 Paul Lacey shares, why focus on the white label projects, how to price them and manage such projects while interacting with other partner agencies. I have recently heard about your dickiebirds agency in 2018 but was surprised to know that your agency is in fact 10 years old. 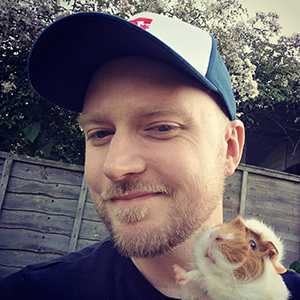 How has been dickiebirds agency journey in last 10 years? You are following a strict approach to niche down your offerings and focus on two things: UX + WordPress and UX alone. Is that a conscious decision because you want to leverage your expertise in WP and your partner Peter’s expertise in UX? The majority of my online work is on a white label basis for one simple reason, I do not like client communication and follow-ups. What are your reasons for focusing more on white label work instead of direct client work? Are your white label clients restricted to the UK or they are spread all over the world? What type of WordPress projects you mostly do for white label client work like e-commerce, brochure websites, LMS setup? Outside of WordPress, when you only do UX design in a project and once the UX is done, do you leave it on the client to hire a developer himself or you hire someone for implementing that design? A project with a big scope can be a big drain on time and brain power resources. While figuring out the scope of projects in this while label setup, to which projects you say yes or no? Consider a scenario, you are doing a project with a direct client and similar scope project on a white label basis. What will be the price difference in both scenarios? An agency is a better seller of similar scope project as against direct client project. Would you command better and consistent pricing when dealing with white label work coming from an agency? In a white label project, the main agency communicates with the client for project requirements. Does the main agency directly pass the project requirements to you or do you interact with the agency’s client on their behalf? Which tools do you use to communicate with the agency providing you the white label work? In terms of money part, do you split the work into milestones or follow single estimate approach? Which tool do you use for project management when working with white label projects for agencies? Ideally, a white label client will go on monthly care/maintenance plan of the agency dealing with the client directly. Curious, do you get any of these clients on your care plans? How did you get your first few white label clients? Did you go to networking events, splurged on paid marketing, used cold emailing? Besides you two guys, do you have any other employee or sub-contractors? Beaver Builder is the preferred page builder for layouts. All projects use GeneratePress as the base WordPress theme. Lemlist for email marketing drip campaigns. Uses Company Hub CRM and Freedcamp to manage overall things. Preferred web hosting is Cloudyways and Siteground is also good. I started in the web in 1999 as a part-time job in a web development agency while I was still a student at a university. That agency had a dot-com startup like an online magazine for kids. I worked in dot-com startups until 2003 as a designer/developer Flash animator. For those that don’t know, dot-com is a term generally associated with website based startup companies that popped up in the masses in the late nineties / early nineties – mostly funded by venture capital investment during the dot-com boom. Very much the most fun time of my web career. In 2003, I moved to work in the arts sector, which was another amazing time. Worked for a Bafta award-winning community arts organization as a web designer, and we also did client websites for partner organizations. We would create websites, films, performances, art installations, and community arts projects. In 2005, I created first WordPress blog. Then moved from arts Sector to a brand agency, and here I learned a whole new path and intensity of work – which gave me a great grounding for working as a freelancer. In 2006, I left the agency and became a freelancer and started using WordPress on most website projects. In 2008, I scaled up and setup Dickiebirds Studio 1.0 with Peter Wesolowski and we hired an awesome designer called Thomas, who eventually got poached by Opera (the browser). We did well as a white labeling agency for a few years and also started to gain some direct clients. We won our biggest project and had to hire what we called the Dickiebirds sub-team. In this setup, core team focussed on the big job and the sub-team took care of the white-label stuff with me managing both. Fabulous stuff guys. Must be nice for Paul to finally be on a podcast with some form of structure! You should be proud of this podcast Davinder. Appreciate your nice feedback, many thanks David.